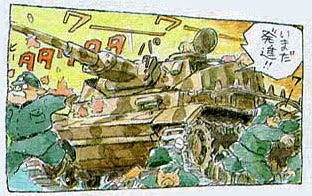 A translation of Hayao Miyazaki's war comic can be found by clicking the picture above. The comic's only 15 pages but quite educational. Learn the in's and out's of the Panzerkampfwagen IV courtesy of the great Miyazaki himself.